This game won't decide whether or not we stay up this season but is ultimately the reason we want to be here. No disrespect to the majority of the Premier League who I'm sure feel the same way about us but it's all about testing yourself against the best and Man Utd are the first of the big beasts to visit the Liberty. The Liverpool game will have been a huge help to prepare for this game as it'll help to remind the players that you play the opposition not their stature or tradition. Manchester United started the season in superb form scoring 21 (2,8,3,5,3) in their first 5 league games. In the subsequent 6 PL games they've scored 7 goals, scoring in every game but only getting more than 1 against Norwich. After a strong start Utd have stuttered but now grinding out rather than blowing away teams. 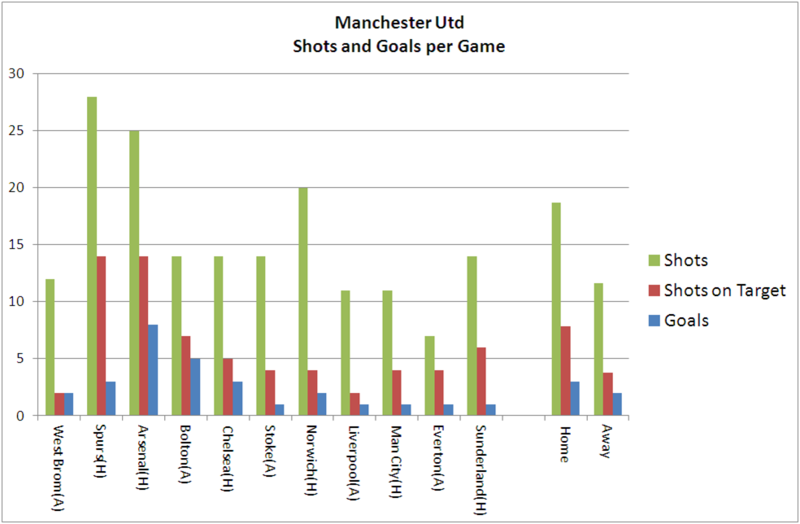 The rise of Man City disguises the fact that Utd actually have more points than this time last year. 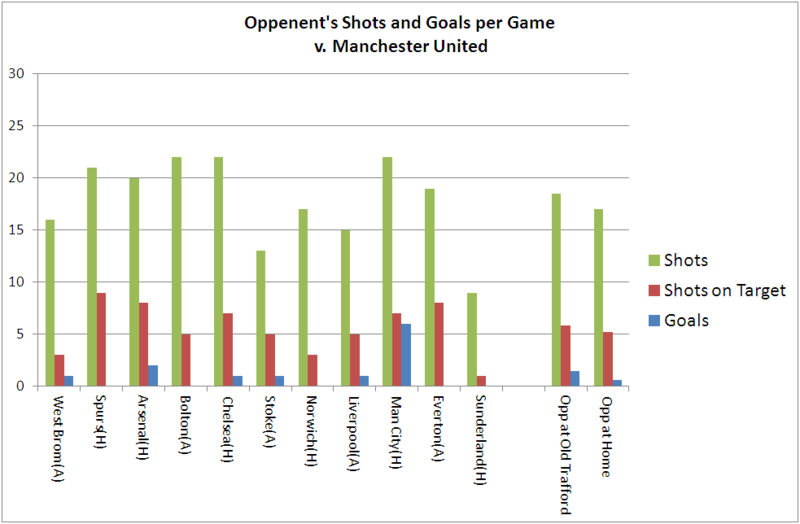 Much has been made of the number of shots Man Utd have allowed the opposition and in 4 of their 5 away games they have had fewer shots than the home team. This even includes their 5-0 win away at Bolton. In their away games so far they have averaged 11.6 shots per game and the opposition 17 suggesting that there will be chances. United won only five away league games all of last season but have already done it three times this season, they know that to catch City they will have to adopt a more aggressive attitude than they did last season so I expect them to try and quiet the crowd down in the first half hour and then push further forward in the final fifteen minutes of the first half. If Swansea play with the composure that they showed against Bolton and at Anfield rather than the jitters in the last ten minutes against Wolves and first ten minutes against Norwich then it could be a close run thing. Betting against Man Utd on a regular basis is probably the quickest way to lose a fortune but given Swansea's home form and the fact that for United this game is pretty small fry I think the odds of a draw at 3/1 are good value (as it Rangel at 50/1 for first goalscorer). Odds of a Swans win have been dropping during the week from 7/1 down to as low as 5/1 in some places. Whether this is based on hard facts or people just getting over-exited we will have to wait and see.